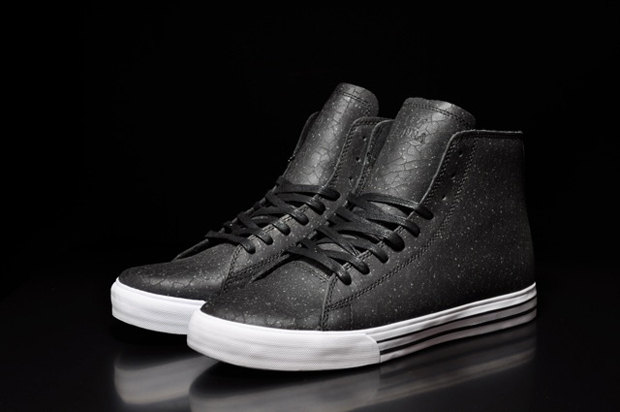 Today see’s the release of this Supra Thunder, designed by Jim Greco. Coming in a full TUF leather upper, which is also lined with ‘Supra Foam’, this release comes in some seriously nice materials. 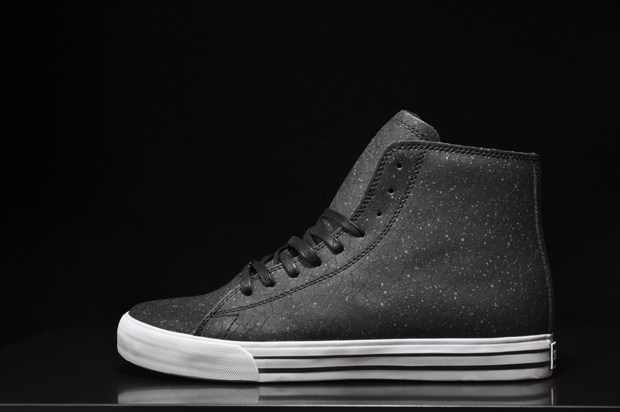 Black dominates the shoe with a subtle white speckle layered on top, all sitting on a crisp white vulcanized outsole. This one is stealthy. 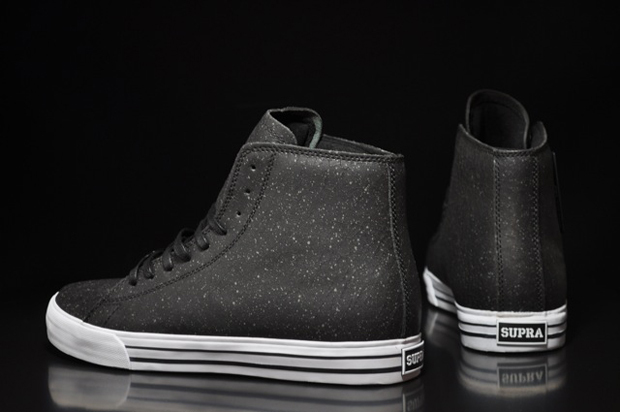 A high top fit and vulcanized outsole sounds perfect to skate in, though I highly doubt you would want that TUF leather touching board grip one bit. 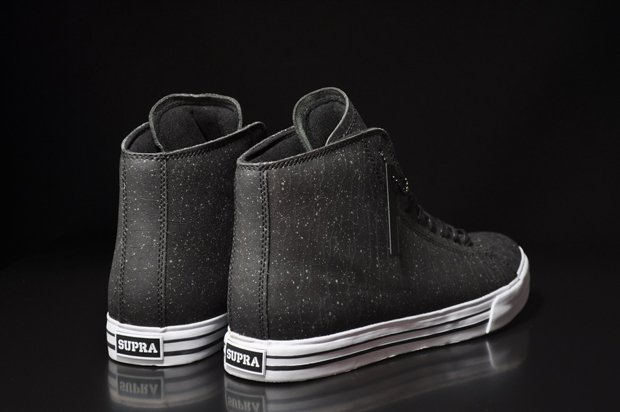 Supra brand detailing sits perfectly on the back in a similar fashion to another favourite skate brand we all know. This release is on point, it’s always a pleasure to see a simple make-up executed very well. 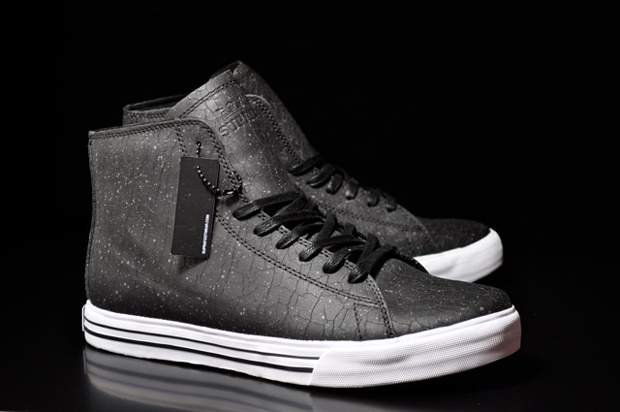 These dropped today at SoleHeaven with a price tag of £79.